She was my most gifted student, and now she is my wife. ‘Take me north’, she says, to Orkney and the sea. The sixty-year old academic and his elfin twenty-something wife, the professor and his student, travelling to the hyperborean, timeless archipelago: ‘Where the waves rush in iron-grey and unforgiving, like the cavalry of old wars.’ Once on their island they occupy a cottage above the beach, from which she can emerge each day to contemplate the sea, before her dreams are filled with grasping waves and drowning. The Professor watches her from a window, framed against sea, beach, and sky: ‘Just as she is – luminous, obscure. There she stands.’ He is writing ‘a book of enchantment’, of strange, terrible, otherworldly, doomed women; of myth and poetry, of dreaming and folk-tales; of Keats, Tennyson, and Coleridge, Lamia, La Belle Dame Sans Merci, The Lady of Shalott, Vivien, Melusine, Undine, and the folk of the ocean. Sackville has written her own rich and rhythmic book of enchantment, a book possessed and of possession, sharing themes with A.S. Byatt, although stylistically the novelists are worlds apart. 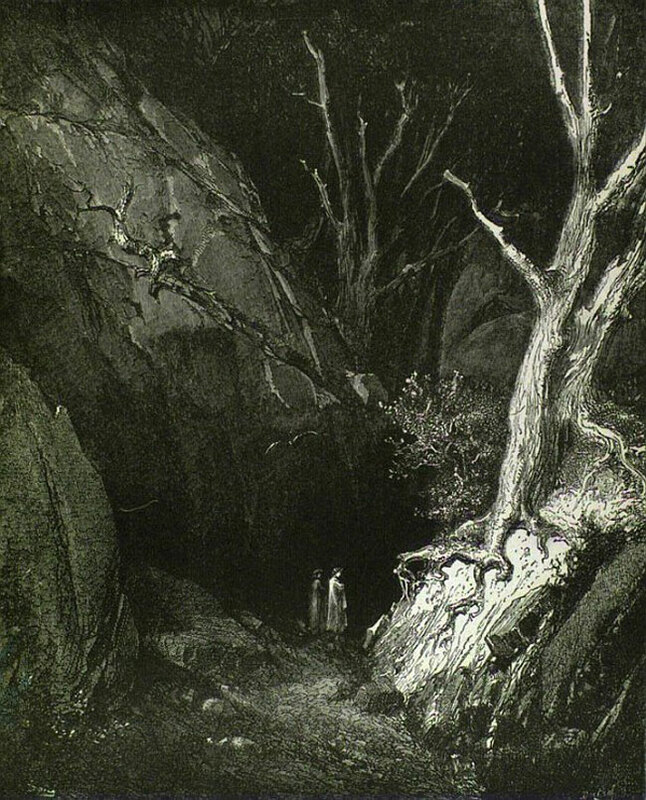 This silver-haired, wild-eyed girl is running from the ‘unhaunted place’ of her childhood to an island freighted with myth, to the island of her father, a mysterious presence throughout, about whom the Professor can learn little other than that he left when she was very young, claimed, perhaps by the sea. Throughout this sea is clasping, grasping, sucking, in her dreams and when she finally enters the water, having conquered her fear in a macabre fashion. Those poems of enchantment, disappearance, a prefigured and figurative death, threaten dissolution in the hungry sea. Permeating the consciousness of Sackville’s characters is the Nineteenth Century femme fatale inherited from the Greeks and transformed by the tales of Selkie and Finmen, emerging from the cold sea to seduce and to claim their children, webbed toes and all. Sackville’s writing approaches prose-poetry as her sentences flow on through semi-colons, commas, and dashes: receding and returning, becoming stormy, languid, open and claustrophobic as the mood shifts with the sea, with a young woman’s yearning, and her husband’s imagination, incomprehension, impatience, and jealousy. And then all at once, a crack appeared in the cloud, a sun at one corner of it like a god’s eye, casting a piercing lancet against the sky; and then one after another, rods of silver broke through to announce his presence. Like some awful ruthless salvation, the sun burned the edge of the cloud-bank magnesium white, and shone brilliant on the still-tended, cleansed world; the rock pools transformed into blinding mirrors and the sea, so lately needled to fury, was lulled and banded with whispering silver as it approached the shore, and there was the terrible argent fire of the cloud’s lining after the storm; and ‘Let’s go out!’ she said. ‘In the sunshine…’ As if extinction had not threatened only an hour before. The language is that of the Professor, immersed in poetry, in the near-heraldic and mythic tone of Keats, perhaps more Tennyson: the argent and the lancet. It is this immersion in poetry and stories which he fears drew his wife to him: ‘Would you love me at all if it weren’t for poetry, for stories? Do you take it so lightly to be my wife?’ he thinks. The suspension of time in those myths matches the hyperborean setting of their honeymoon. Their disparate ages mean their time together is intensified by its necessary brevity: a fact the Professor considers constantly, is threatened by. He becomes jealous of the years he will miss. Yet as the poetry is stripped away, the tone becomes harsher, laden with a less Arcadian fear. Apart from the clear allusion to the island father, perhaps Sackville is suggesting that the relationship she explores in Orkney should have remained like that of Brown and Crawford: close, deep, a meeting rather than the ‘marriage of minds’ upon which the Professor insists at every false paternal turn. The culminating passage also features a passage of Brown writing about Crawford: they hover ghost-like behind Sackville’s writing, emerging every now and again, as the doomed lovers and otherworldly women of the Professor’s work intrude upon his thought and conversation with his wife. Brown’s love of Kenna generated poetry, the Professors immersion appropriates it. That contrast suggests the final sadness may be the departure of poetry after eleven days in Orkney. Sackville’s other epigraph is a quotation from Hélène Cixous: ‘…the portrait of a story attacked from all sides, that attacks itself and in the end gets away.’ As the island is battered by storm Orkney is subjected to attacks from myth, dream, poetry, memory, and desire, and ultimately dissolves into the breaking wave of the Professor’s fears. The loss of a mediating language and the death of his ‘undergraduate ardor’ leave the Professor speechless and ‘palely loitering’. We have been telling each other the tale of our great romance, as I suppose all newlyweds do; refining the details, spinning it out, combing and weaving the threads of it. The novelist and psychologist Charles Fernyhough has written of the working out of joint memories in relationships; how we author a shared narrative, part of the foundation and fabric of a marriage; and one of the first things to unravel when a relationship begins to falter, to hit the rocks. Their stories do not knit, the Professor impatient with ‘her nonsense about not wearing purple’ and who really kissed who first. ‘Real are the dreams of Gods, and smoothly pass/Their pleasures in a long immortal dream.’ (Lamia) The Professor is no god. Perhaps, it was never real – his voice quavers, quivers through the pages. A lowering threat hovers behind every word and every wave. Brown knew this. Our Professor knew, but hoped. Amy Sackville has written a rich and remarkable book, whose language and structure mirror the minds and surroundings of her central characters. It is a book about the enchantment of romance, the rhythms of marriage, and the tissues of language behind which lies either the substance of a shared life, or an empty space failed by Romance. 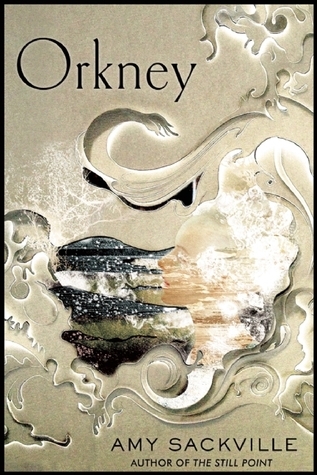 Orkney is out today (7/2/13) from Granta. My thanks to Granta for this review copy. Close-up poetry | Books | The Guardian. A series of readings, in which poets choose a favourite poem from their own work, and recite it to camera. Faber’s 60 Years in 60 Poems is a wonderful collection (a nice website too). I’m not too sure about the poem for my year of birth (1986), but I rather like Dannie Abse’s ‘Winged Back’ (1953).